The 1914 unofficial ‘Christmas Truce’ when British and German soldiers crossed trenches to exchange cigarettes, swap food, sing carols and even play football is one of the most poignant emblems of World War One. It suggests that despite bloodshed and anguish, what unites us is a common humanity, presaging that war will be followed by peace and the reconciliation of nations. Walter Day died of wounds at Passchendale on 11th October 1917. He had served at the front for less than six months and his widow, Frances Emily and baby son, Raymond, were left to grieve alone at their home in Borrowash. Our account of Walter’s sacrifice appeared in The Derby Telegraph’s World War One commemorative supplement and some weeks later, we were delighted to be contacted by his great nephew, Brian Day, now living in Cornwall with his wife, Maureen. For Brian, ‘Great Uncle Walter’ was just a name, but he was able to tell us about his side of the family and his own story was subsequently published in ‘Bygones’. Brian has had an exciting life and his beautifully cultivated garden was the subject of a BBC2 television programme, ‘Open Gardens’, presented by Carol Klein. What followed is the story below – and the account of a friendship that has endured for 68 years. 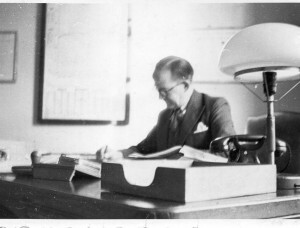 The Depression of the early 1930s was characterised by record unemployment and heralded the Nazi’s seizure of power in 1933 when things appeared to improve (albeit briefly) because Walter’s father found work. It was a small oasis of calm. His father was drafted into the army, and died, aged 54, leaving a widow juggling two jobs and children working outside school hours to boost the family finances. He became a Junior Pilot and flew Arado and Klemm planes and also the Messerchmitt 109, the most produced fighter aircraft in history with its closed canopy and retractable landing gear making it the first of its kind in modern-day warfare. He was lucky to be alive, but escape was never an option. Walter Greiner, still not out of his teens, was swiftly picked up and taken as a Prisoner of War. Walter’s captors were American soldiers who saw the extent of his injuries and drove him by tank to a field hospital. Later, he was moved again, this time via a 12 day boat journey from Liverpool, to Boston USA where he became one of the Americans’ Prisoners of War at the Fort Meade camp in Maryland. During the Second World War, Fort Meade housed about 4,000 German and Italian Prisoners of War and 33 German and 2 Italian POWs are buried in the camp cemetery. The most famous grave is that of German submariner, Werner Henke who was shot whilst trying to escape from a secret interrogation centre in West Virginia. Fort Meade is where Walter remained for the duration of the war – until in May 1946, he returned to Europe – but not to Germany. Walter and other German Prisoners of War were taken to 1008 POW Camp in Alvaston, Derby. Alvaston Park, created in 1934, was used as a Prisoner of War camp during World War Two. The Italian prisoners became farm labourers and some of their German counterparts worked at an ordnance depot in Sinfin Lane. The Day family lived nearby at number 4 Field Lane and in 1947, Brian’s parents, Leslie and Edna decided to offer some Christmas hospitality to two German Prisoners of War from the Alvaston camp. Hostilities were still uppermost in the national consciousness and although the Greiners were as much the victims of Hitler as the Days, the decision to share a meal with two men who had served the Fatherland must have taken a great amount of courage. The Days continued the friendship. Leslie took his 9 year old son, Brian to visit the prisoners and they, in turn, gave him some hand-made wooden toys. Leslie, a bus driver, then asked permission to take Walter on an outing. 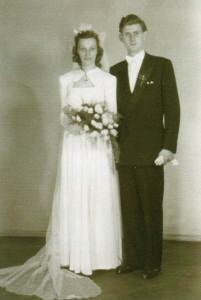 When Walter returned to Berlin, he married Anita. They had known each other since they were both 14 years old and their families had been neighbours. After the settlements agreed in The Treaty of Versailles, following the defeat of Germany in World War 1, West Prussia was granted to Poland and East Prussia, (with its capital of Konigsberg) became a province in the Weimar Republic. When the Russians advanced during the Second World War, the German population in Konigsberg was largely expelled and around 300,000 people died in battles defending the province – or as a result of the ferocious bombing raids. After the war, in 1946, Konigsberg was re-named Kaliningrad and people in Germany, as elsewhere, began to re-build their lives. ‘When I was released as a POW, Berlin was a divided city in four sectors, British Sector, American Sector, French Sector and Soviet Sector. They formed the Kommandatura Berlin. When some years were over, the Soviets and the DDR built the Berlin Wall. 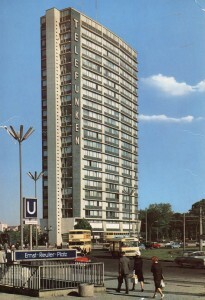 East Berlin became the capital of the DDR. 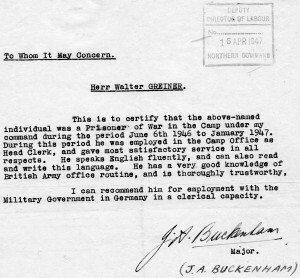 Walter’s immediate goal, however, was to get a job and his first post was as a Labour Advisor to the British Military Government in Berlin (1947 – 1957). His stay in Alvaston as a Prisoner of War was to prove useful, because Major Buckenham who had allowed bus driver, Leslie Day to take a German POW on a sightseeing trip to Derby, now came through with a glowing reference. ‘This is to certify that the above-named individual was a Prisoner of War under my command during the period June 6th1946 to January 1947. During this period, he was employed in the Camp Office as Head Clerk, and gave most satisfactory service in all respects. He speaks English fluently and can also read and write the language. He has a very good knowledge of British Army office routine, and is thoroughly trustworthy. 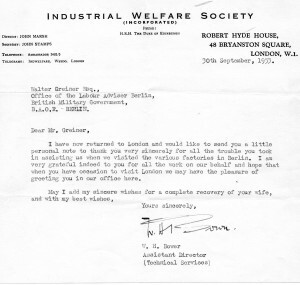 The new post suited Walter and he was a valuable asset to his employers as many organisations are willing to testify, such as The Industrial Welfare Society, based in London. 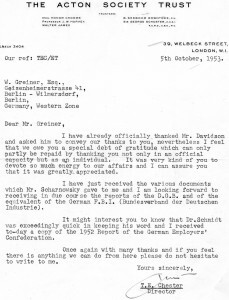 I have now returned to London and would like to send you a little personal note to thank you very sincerely for all the trouble you took in assisting us when we visited the various factories in Berlin’. 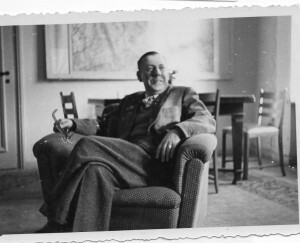 Walter’s diplomatic skills were put to good use in his next role, as Chief of the Personnel Department at the World HQ, (situated in Berlin) of AG Telefunken, a radio and television apparatus company. 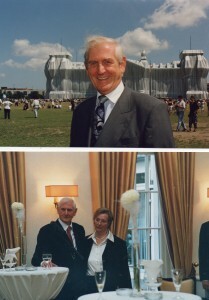 He was to remain there for 10 years, leaving in 1968 to become Head of Personnel, Social Affairs and Education at Borsig AG, Berlin, a leading international technological firm. 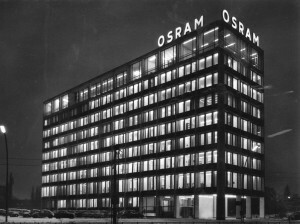 By 1971, he has become the Berlin Representative for Borsig, a Company Director and had acquired a doctorate (Diplom-Kaufmann Dr.rer. pol.). 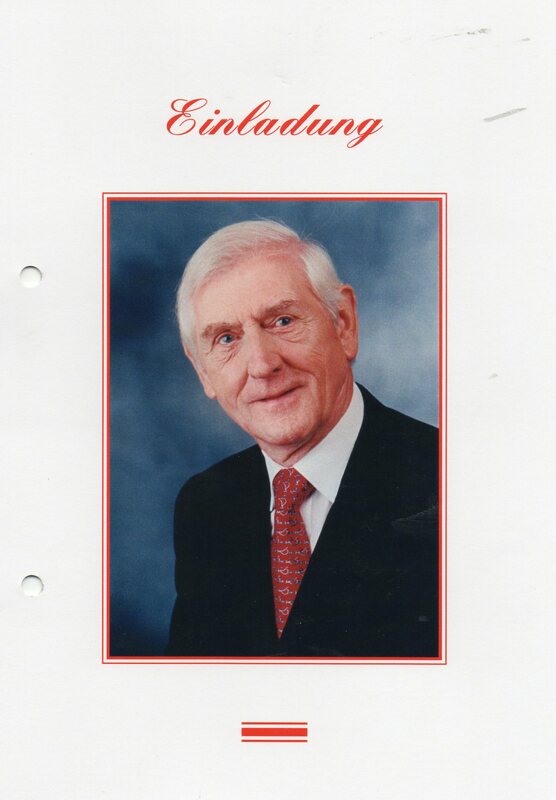 By any estimation, Walter Greiner’s skills led to an extremely successful and distinguished career, but the greatest accolade was yet to come. Walter Greiner, ex Prisoner of War from the Alvaston camp, was honoured for a lifetime’s endeavour in the cause of world peace. 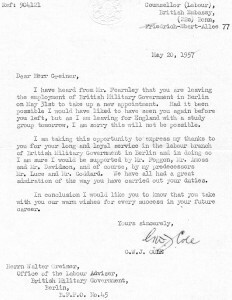 One thing is certain; if there is anything he can do personally to further the cause of international harmony, Walter will not hesitate and it is perhaps the kindness of the Englishman, Leslie Day who set an example in 1947 by inviting two German Prisoners of War to share a family Christmas dinner at Number 4, Field Lane in Alvaston. Walter attributes his happy marriage to Anita to the fact that they share the same astrological sign; Scorpio. 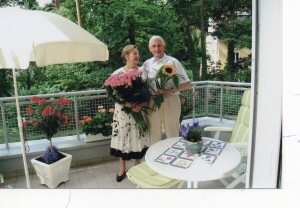 In November 2015, he will celebrate his 90th birthday and Anita will be 89. 2016 is the significant year for Brian and Maureen Day who are already making preparations for their Golden Wedding Anniversary. 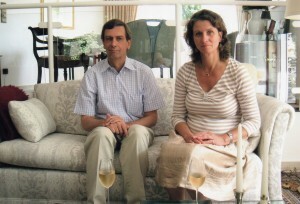 They will certainly be receiving congratulations from their lifelong friends, Walter and Anita Greiner from Germany. In an uncertain world, the story of Walter Greiner and the English Day family is an affirmation of hope for the future. It shows that in the darkest of times, man can reach out to man and overcome the barriers of language, tradition and political discord. 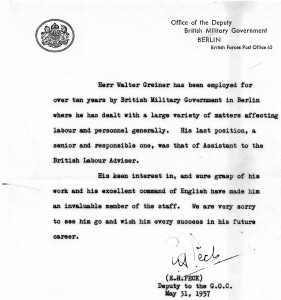 Meanwhile, in Berlin, cheered by the strength of his family relationships, a career of distinction and letters from his friends in England, Walter Greiner is full of optimism. Very sadly, I have heard from Brian Day that Walter die just before Christmas last year. 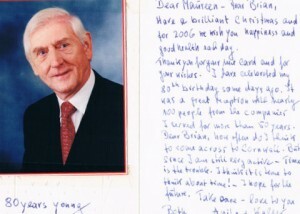 Brian was amazed not to have heard from him – they always exchanged news and greetings at Christmas. Anita, Walter’s wife contacted Brian in the New Year to give him the news. Brian will of course continue to keep in contact with Anita. I am so pleased that we had the opportunity to let people in Derby and elsewhere know about Walter’s story and his amazing life. I am grateful to him and his family and of course, Brian Day without whom this story would never have come to light.